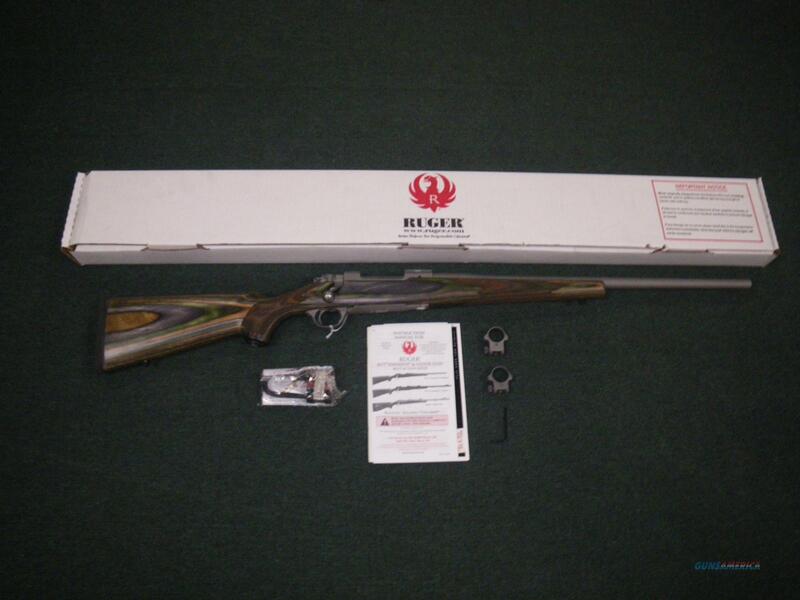 Description: You are bidding on a new Ruger Hawkeye Predator rifle in .204 Ruger with a 24" barrel. This firearm comes with a non-rotating, Mauser-type controlled round feed extractor which is the most positive case extraction system ever invented, and features a fixed blade-type ejector that positively ejects the empty cases as the bolt is moved fully rearward. The three-position safety is easily accessible and allows the shooter to lock the bolt or to load and unload the rifle with the safety engaged. This firearm includes factory scope rings. Displayed images are stock photos. Any questions please feel free to ask (our phone number is in the additional information tab above).